I didn’t change the recipe at all, so I just follow the link above to the font of knowledge that is Gourmet.com. I didn’t have pumpkin seeds or anything else that could’ve lent a crunch, but I don’t really think it was totally necessary. So, although it may have to wait until next summer, when your tomato crops are plumping up at unnerving speed, grab a few green ones and make this salad. It’ll cool you down and fire you up at the same time. Monotone never looked so good. Green tomatoes are so tart, and melon is (can be) so sweet – a creative combination. 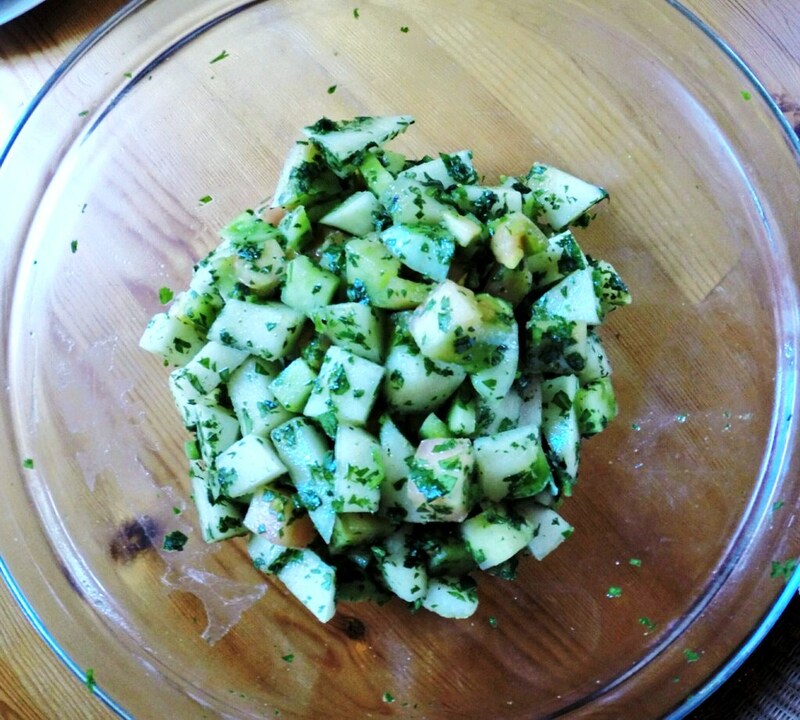 This salad reminds me of Grandma’s honeydew, dill and red onion salad. I hear you’re having a treasure hunt on your beaches. We had a similar search in our mountains recently. This, too, will pass. I don’t think anyone has found anything yet, anyone strike it rich over your way? No, but they dug up a lot of people’s yards.